What is Adore Box? 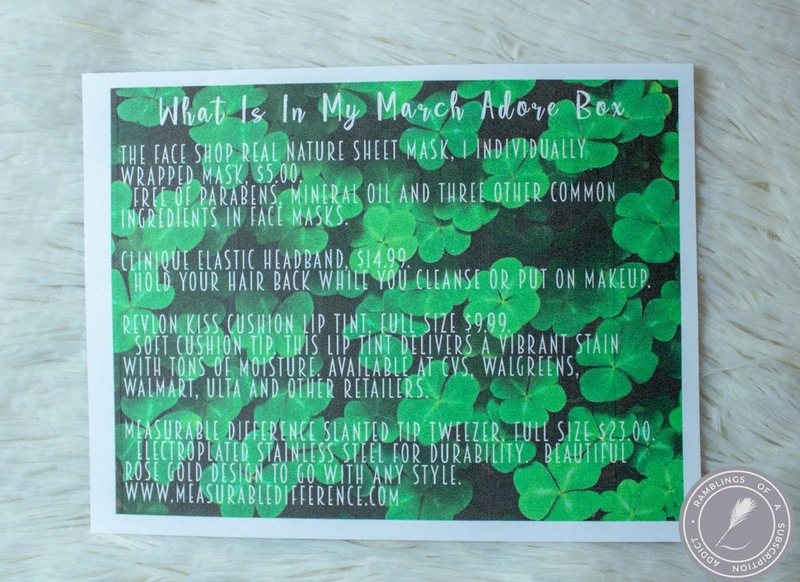 : Adore Box is a monthly subscription that features 4-10 beauty and lifestyle items. Items can be sample or full-size. They do ask for your t-shirt size when you sign up so that means clothing is also an option. How Much is Adore Box? 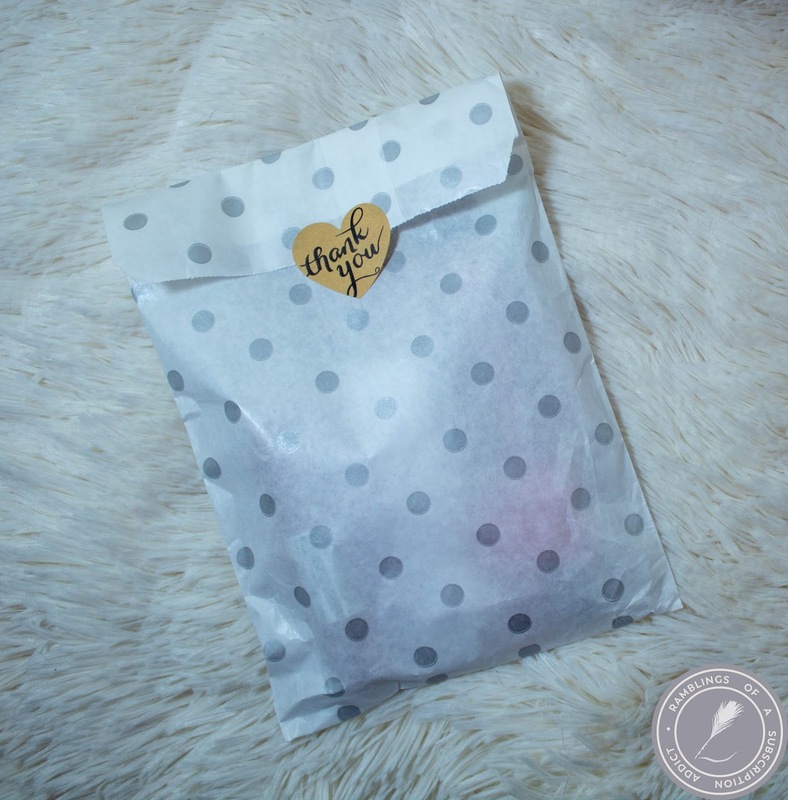 : Adore Box is $12 for a single monthly bag, $22 for a double monthly bag (two of the same bag each month), or you can opt for the quarterly premium bag which is $39.16/bag. Like always, there's a bag within a bag. The Face Shop Real Nature Sheet Mask ($5.00 listed/$1.30 on Amazon) - I've never been able to find any of The Face Shop masks that aren't in groups so I'm always hesitant to buy, what if I hate it and I have 10 more of the exact same mask? I'm so happy to be able to try this mask because I'm always into trying masks! This one is supposed to firm...how am I supposed to be able to tell? Like, my skin is still fairly dry even after Nexplanon so unless something is moisturizing, everything is firming. Clinique Elastic Hairband ($14.99) - I cannot find this anywhere, I so want to know how they sourced these! I'm not someone that cares about brand names or anything but the fact that it's a Clinique hair band, that's fascinating. 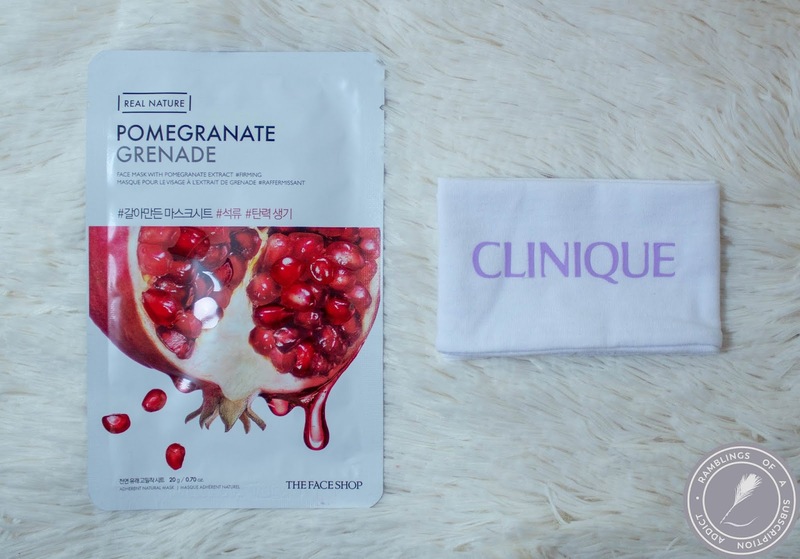 This is the perfect addition to a bag with a mask, you're set to go! I do believe this is not worth the $15 value, though. 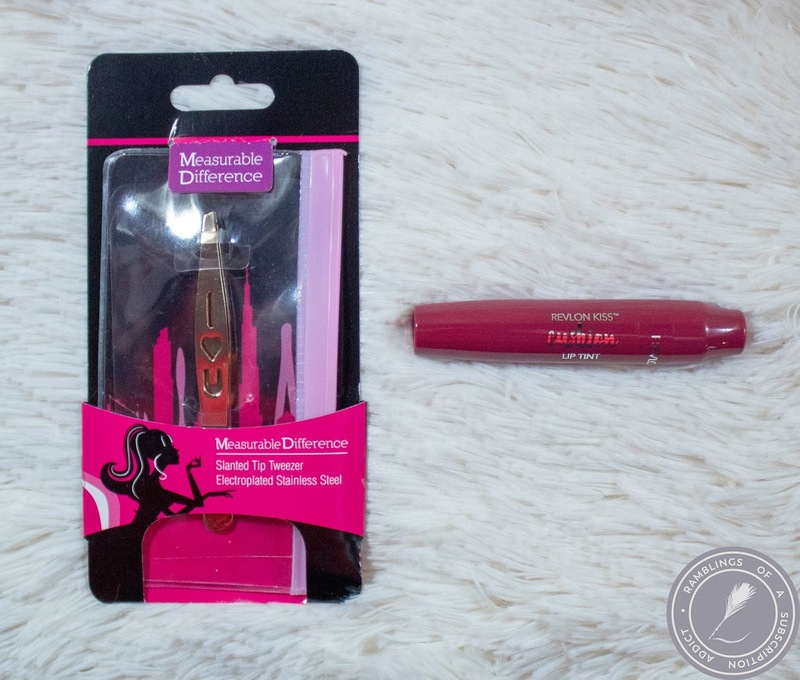 Measurable Difference Slanted Tip Tweezer ($23.00) - These aren't super sharp so they'd be great for applying lashes. I've been toying with the idea of lashes so I am definitely keeping these just to have specifically for that. I would not pay $25 for this regardless of the sharpness. 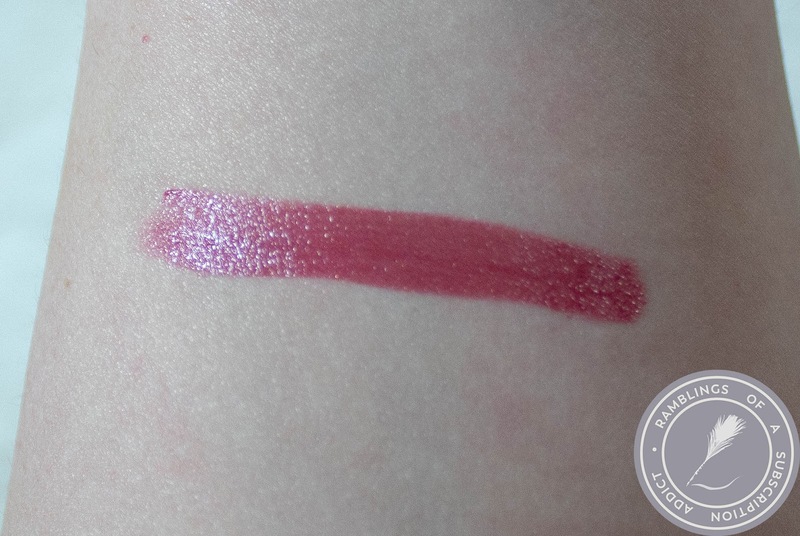 Revlon Kiss Cushion Lip Tint (Naughty Mauve) ($9.99) - What exactly makes a mauve naughty? Regardless, this is a super lightweight formula that wears well too. It's not the easiest to get a crisp line so next time, I'll wear a liner. I never would have grabbed this in the store but now I don't want to part with this! This bag was valued at $52.98based on the card, $49.01 based on what I could find online. Regardless, the bag is valued over its cost. 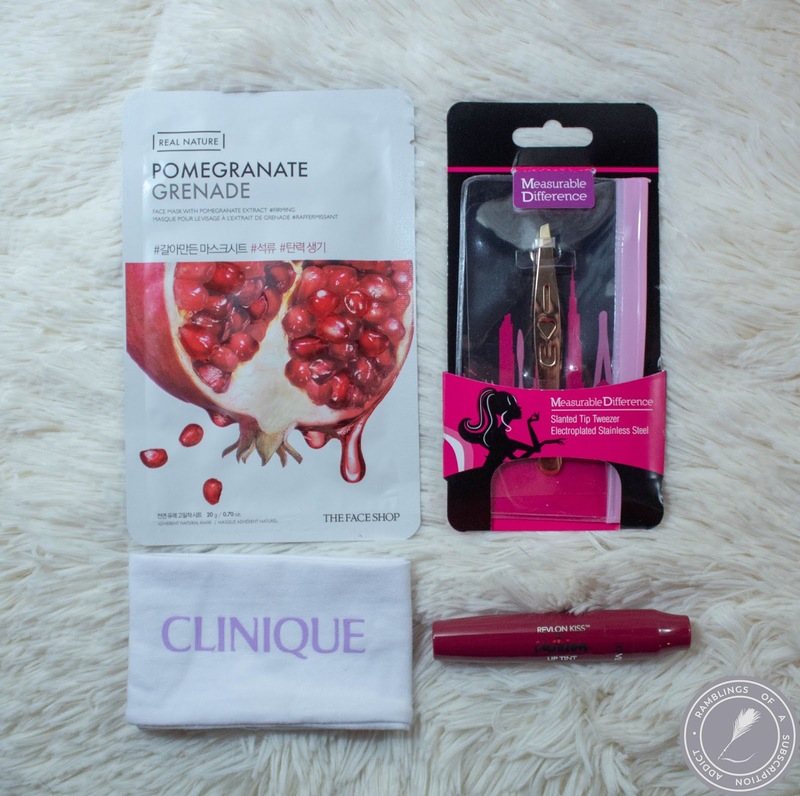 Overall, I felt like it was a good mix of products that I wouldn't have grabbed on my own. I don't feel the value is accurate for every single item, though. As always, let me know what you thought of the bag in the comments!